This non-fisheye lens has an amazing 121° angle of view, making it ideal for stunning landscape photography as well as dramatic interiors. Even when shooting with the aperture wide open, the lens will yield high contrast and excellent resolution. A 9-bladed aperture diaphragm creates very pleasing out-of-focus highlights. Click-stops on the aperture movement at half-stop intervals, make it easy to make subtle adjustments in exposure or depth-of-field. It has no rangefinder coupling because it’s extremely wide depth of field does not require it. The lens comes with a bright dedicated viewfinder, featuring a high eye-point design allowing you to see the entire image area while wearing glasses. Includes a viewfinder and lens hood. 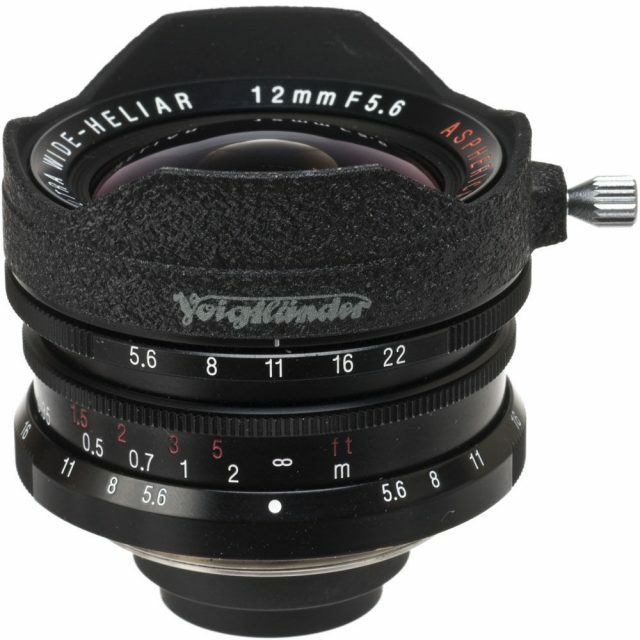 Filter size is 77mm (with optional filter adapter).